When it comes to medical hair restoration procedures, the minimally invasive NeoGraft procedure is state-of-the-art. Most hair transplant clinics in Oklahoma City use the “strip method”, which requires a strip of your scalp to be removed in order to harvest the donor hair. NeoGraft provides world-class hair restoration results for both men and women. At Kevin McMullen, MD, we only use the NeoGraft procedure for harvesting the individual hair follicles. This hair restoration procedure involves no cutting, sutures or scarring. The only sign of hair restoration surgery that anybody will notice is your great hair. The NeoGraft procedure begins with donor hair extraction by an automated Follicular Unit Extraction (FUE). Once your doctor applies local anesthetic, the procedure is painless. The donor sites typically heal completely within 24 to 48 hours with minimal side effects. These donor grafts are strategically placed to create a natural hairline and extra hair density. In order to prevent tissue damage and to increase the likelihood that the donor hair will take, we make sure the transplant is as minimally disruptive to the follicles as possible. NeoGraft allows for harvesting from donor sites that are unsuitable for traditional procedures. This means that more people could be candidates for a hair transplant. Because there is no scarring, you won’t have to wear your hair at a certain length or dress a certain way to hide unsightly marks. NeoGraft involves a shorter recovery time. You can go back to work the day after your procedure. You won’t experience pain or discomfort during or after the NeoGraft procedure. 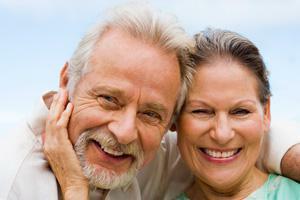 Generally, there is much less of a chance that you will need supplemental procedures afterward. NeoGraft is more effective and convenient than older medical hair restoration procedures. You can achieve a natural, confidence-boosting look without the hassles of a long recovery period and additional procedures in the future. The results of our hair transplant patients speak for themselves. Find out how the team can help you achieve the youthful, natural appearance you need to regain your confidence. We offer a free consultation to answer your questions and show you what NeoGraft can do for you. Contact us or call (405) 751-4847 to schedule your free consultation today.